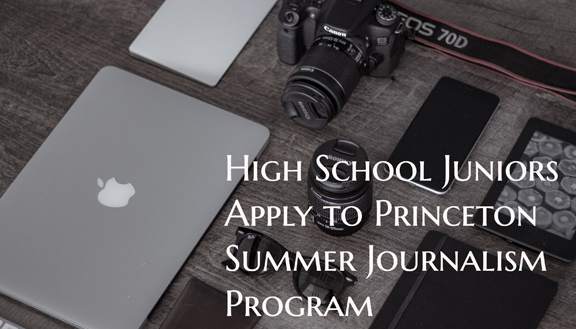 High school journalism students in the DeKalb County School District are encouraged to apply for the 2017 Princeton University Summer Journalism Program. The deadline to apply is Friday, February 24. 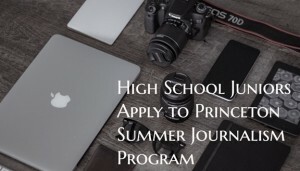 The program is an all-expenses-paid journalism and college preparation learning experience at Princeton University for high school juniors from low-income backgrounds, scheduled for August 4-14 at the university’s campus in Princeton, NJ. Students learn reporting skills from celebrated journalists, report and write their own newspaper, and are paired with a counselor who oversees their college admissions process. An application may be obtained at the Princeton University Summer Journalism Program’s website. To qualify, students must have a cumulative GPA of 3.5 or above and be from a financially under-resourced background (a yearly family income of $45,000 or less). Questions about the program can be directed via email at sjp@princeton.edu.